The dominance of Android has been indisputable for quite some time now and it appears like this will continue on a global scale. Their heavy-handed, styling and profiling competitor Apple has been flying high in the North American and European markets right besides Android, but it does not look likely they will be able to compete with Google on market share percentage when it comes to pure volume. Profitability is a totally different metric where Apple might be able to score though. Having mentioned this, the success of Android has not come easy. Google has had to struggle in the initial years following the 2008 launch of Android. Let us trace its history. Readers will remember that the first smartphone with Android was launched after the iPhone completed over a year in the market. HTC was the company that launched it in the US but it was followed by other carriers across the Europe and Canada. Once Sprint launched it, AT&T followed suit and by 2010, Android began to be taken seriously. But it was Verizon that provided it the next impetus by getting rights to Droid. That combined with the huge advertizing blitz it launched when coming out with the Motorola Droid took Android to the masses and the rest as they say is history. It was Verizon that positioned Droid as a possible alternative to iPhone and that appealed to users a lot. In the beginning, the US market was a tough one to crack with only 7% of users on Android in 2010. Today, it is more than 50% and that is due to the huge spurt in developer interest for Android apps. The Google Play Store and its voluminous repository of apps in excess of 1.6 million provided developers the platform to showcase their talent and users have also benefitted from these apps. 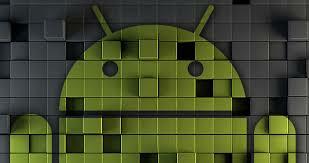 It was with the adoption of the platform by Samsung that the market share of Android zoomed. Till then, even Samsung had not tasted the success due to the introduction of the iPhone and was even trying to combat Apple through touch screen phones like Samsung Instinct. But in 2009, it came out with the Android smart phone and then in 2010 it launched the first Galaxy S and that helped both Samsung and Android reach out to users in a huge manner. Thereafter the market share in the US really took off for the Android. Though the share of Samsung today is much lesser, in 2010, 1 out of 3 phones was a Samsung and even in 2013, close to 50% of Android devices were Samsung. It is now near 40% and this partnership with Google has been a healthy and profitable one for both companies. Today you have Chinese brands like Xiaomi, Lenovo and Huawei making phones running on Android and due to their competitive pricing, they have been able to score over established brands like Samsung, HTC, LG and Sony. As of now the only danger for Google is the charge that it is too dominant. It would have to fight those charges effectively, otherwise, the rise of the Android OS has indeed been a spectacular one.